This simple sentence ”why can’t I get a job”  has the power to create an enormous amount of stress in your life. Looking for work over long periods of time can also lead to feelings of depression and anxiety, and these situations can cause unnecessary tension and strain in your personal life. If youve experienced feelings like that, well youre not alone. The current job market globally is as competitive as ever and everyone wants to either land their dream job or simply be gainfully employed with a great company and a likeable boss. and these four secrets recruiters dont tell you will put the odds back in your favour when you are applying for a job. Your brand is about how you present yourself to others. It’s about how you interact, it’s your story, the language you use, your behaviour and how you dress for business and social occasions. Your personal brand is not just a physical presence, you also have an online brand. Did you know that recruiters and hiring managers are now turning more and more to social networking sites to determine your character and personality as a potential employee? They are determining how you present yourself and if you’re a good fit for their culture before even deciding whether to meet with you. As a result, many recruiters are disregarding candidates despite them having a strong background and experience in relation to the position advertised. Inappropriate photos, evidence of drinking and/or drug use, and inappropriate comments related to race, gender or religion, can be found quite easily on social media and they will disqualify your application. The simplest way to handle this is to activate your privacy settings on your profiles. In addition, consider whether facial piercing and exposed tattoos will be acceptable in your next place of employment. Don’t give your potential employers a reason not to consider your application. Tip #2 relates to networking and leveraging your personal and business contacts. The first step if you haven’t done this already, is to prepare your elevator pitch, your one-minute spiel, your quick summary of who you are and what you are looking for. To start, write down each of your accomplishments, what your key strengths are and a brief summary of your work history, your education and any qualifications you may have. Then craft your list into a spiel that you can use. This approach will be particularly helpful should a chance encounter with someone you didn’t know then becomes a contact. This will be useful for preparing for one of the most common interview questions “tell me a little about yourself”. This exercise also provides you with a solid basis for writing a specific cover letter and for tailoring your resume for the position. Who knows you are searching for work? Ensure to tell everyone that you are looking for work. People naturally want to help others so benefit from that by telling everyone you know. Joining networking events and groups relevant to your industry and position is a wonderful resource to leverage. You may already know someone within the business you want to work at or you may meet someone that works for one of their competitors. If you are really serious about obtaining a job, now is not the time to apply a shotgun approach. You need to target your message. Both your cover letter and resume need to be customised and tailored to suit the position. The first step in getting this part right is to contact the organisation or recruiting agency and ask for a copy of the position or job description and/or the selection criteria. This will assist you to focus on what’s important in the job as you prepare your application. Ensure you mirror their keywords and phrases in your application and focus on your strengths in relation to how you will add value to the position. Consider the relevance of your qualifications and experience. Remember to explain any employment gaps and include reasons for changes between your job, particularly if your employment is under 2 years for each job. Employers want to know how reliable you are when working for them and why you have left other roles. As a guide, use a one-page resume if you have less than ten year’s experience. For over a decade of experience, use a two-page resume where you can outline in more detail your technical skills and knowledge relative to the position. If you are at a senior management or executive level or you are in an academic or scientific field, with an extensive list of publications, speaking engagements and professional courses, use a three-page resume or longer to highlight your accomplishments. Given the high volumes of applicants that are received for each position, there is a very small window of opportunity to make your application stand out. 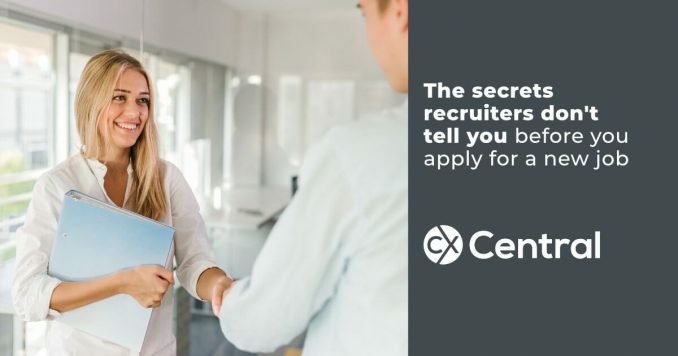 Almost everyone emails their application to a recruiter or organisation, however, that’s only one way you can apply for a position and get yourself noticed. Do you look for job opportunities through FaceBook? Have you considered posting a video of yourself, talking to your potential employer about who you are, what you are looking for and how you can add value to an organisation? No one is doing that right now and this is a perfect opportunity to make your application stand out and be seen by potential employers that you may not have even considered yet. Hand delivering your application to a business or recruiting agency is a strategic way to make a great first impression. It shows you are willing to go the extra mile rather than emailing like other candidates. Remember if you’re are a smoker, ensure that you cover any traces of smoke from your mouth and clothing – you want to be remembered for the approach you have taken and not the way you smell! One of the biggest secret strategies used by hiring managers and recruiters for assessing candidates BEFORE the shortlisting and interview stage is on how you interact with their front desk personnel or receptionist. If the role you are applying for requires social skills, teamwork and interactions with others, ensure that you engage the front desk team or receptionist by asking how their day is going and how long they have worked for the agency or organisation. Take this approach regardless of whether you are dropping your resume off, waiting to be called for a job interview or phoning to obtain further information. Recruiters gain valuable insights into someone’s personality from this process so please take every opportunity to promote your personal brand and get yourself noticed. I trust these four secrets that recruiters don’t tell you about are useful as you seek employment opportunities. We all know there is stress and pressure that comes with the job application process and through the application of these tips, you have just increased your success in landing a job!